Empire Cocktail Dress | Sung Boutique L.A.
V-neckline with pleating detail on the bodice. 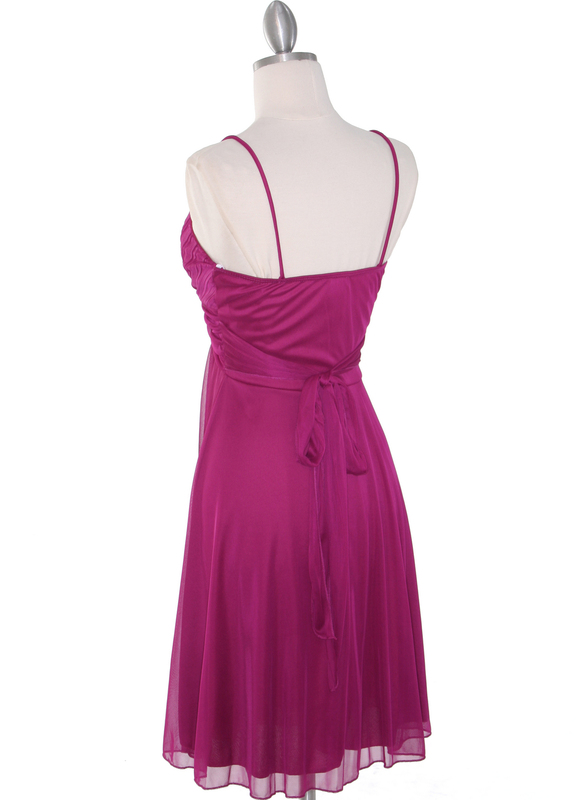 Empire waistline with a dazzling pin adorning the waist. The look is complete with a draped skirt.